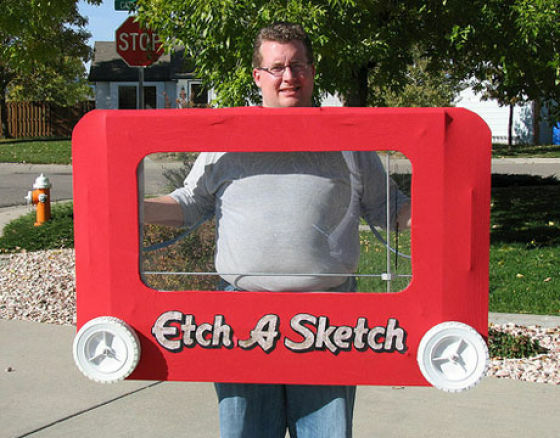 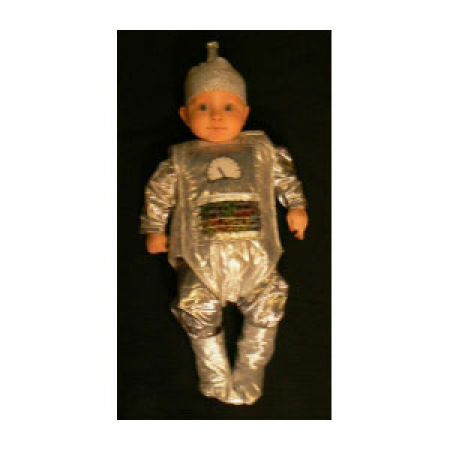 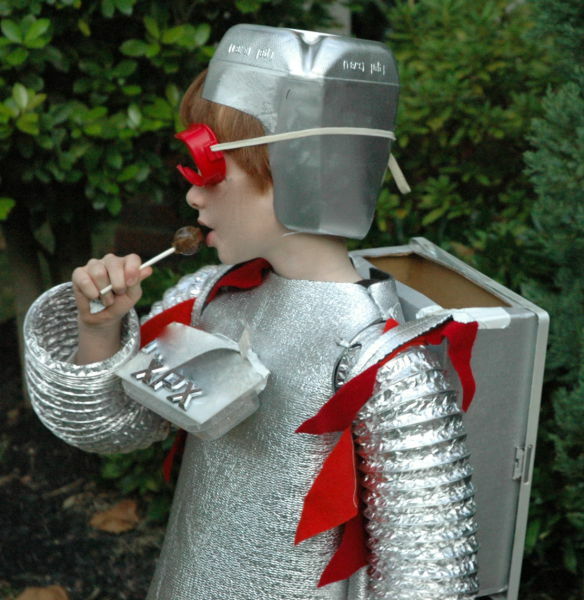 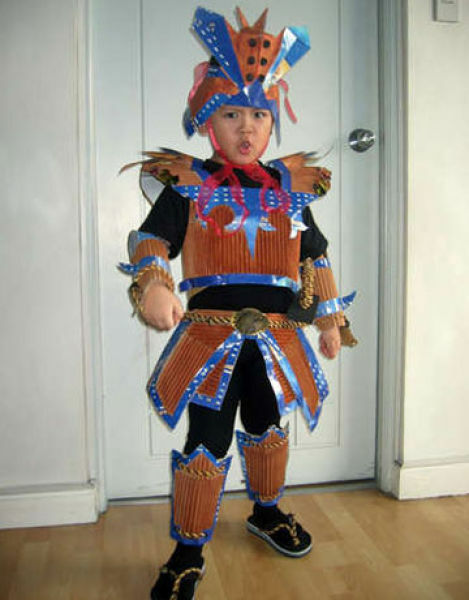 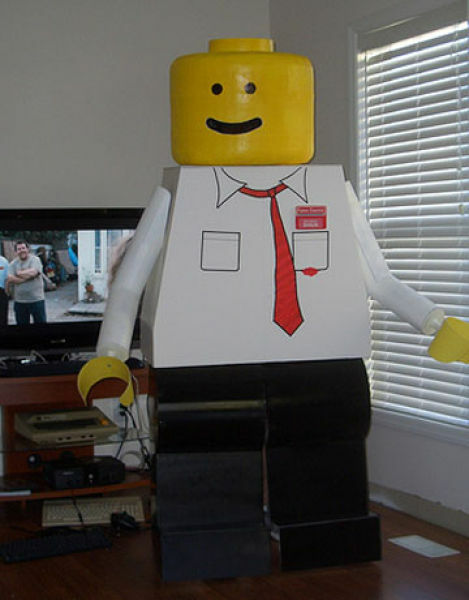 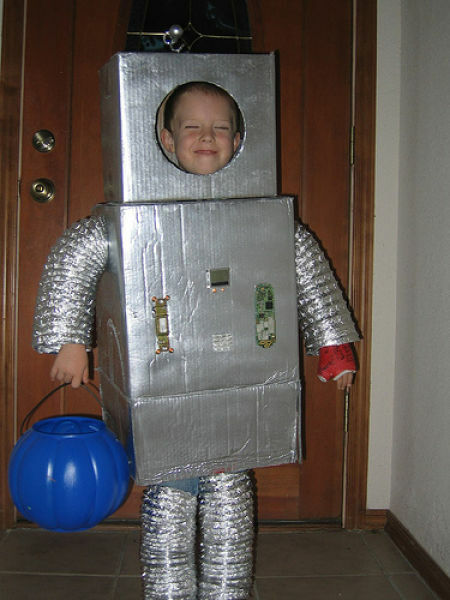 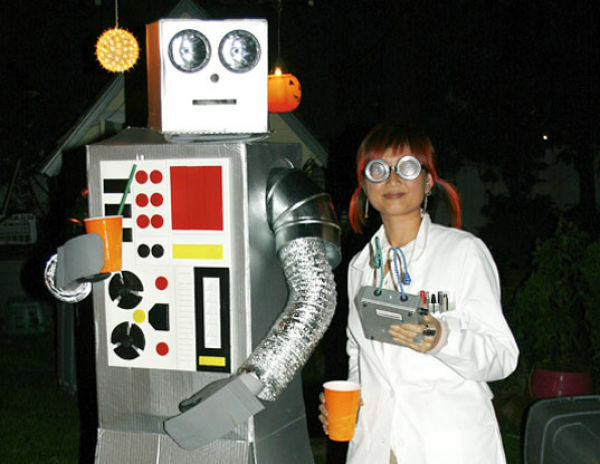 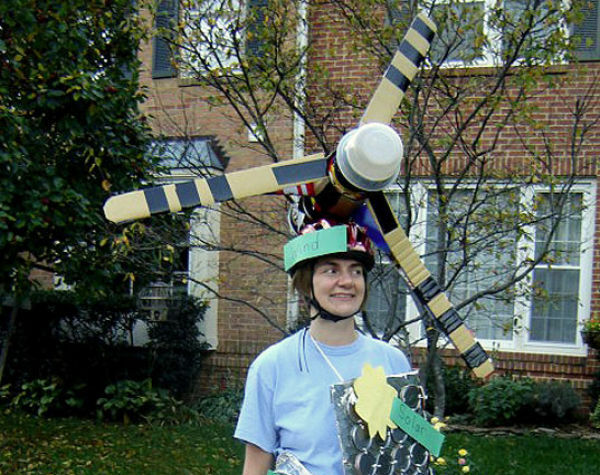 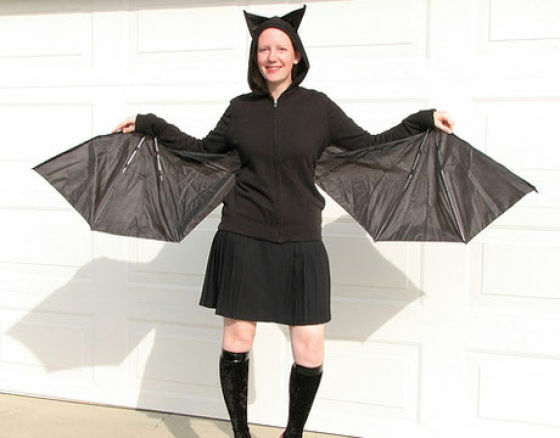 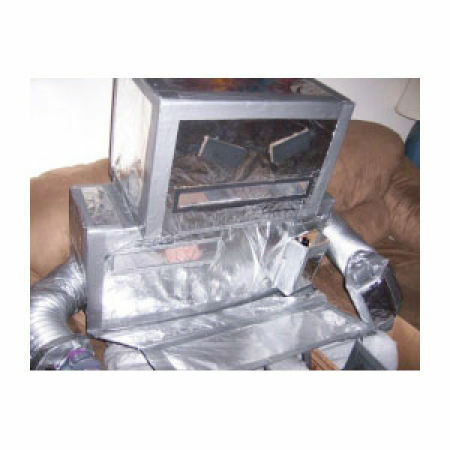 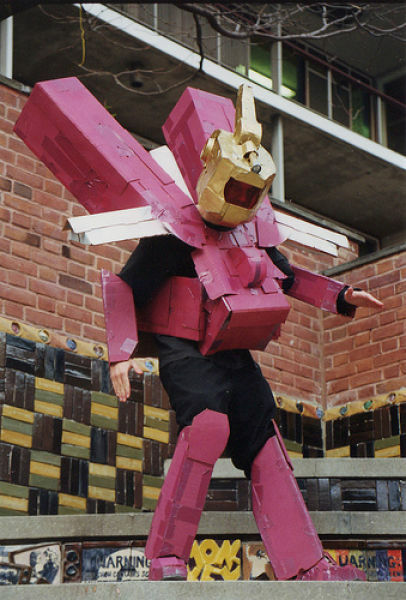 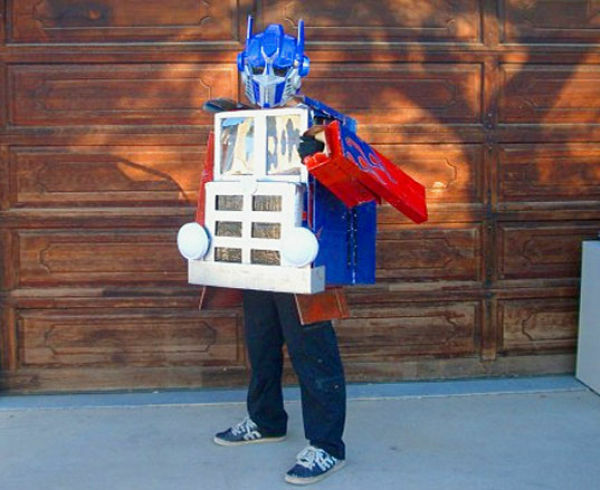 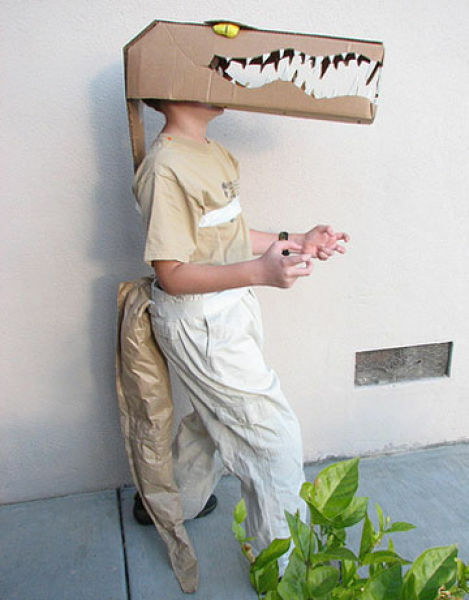 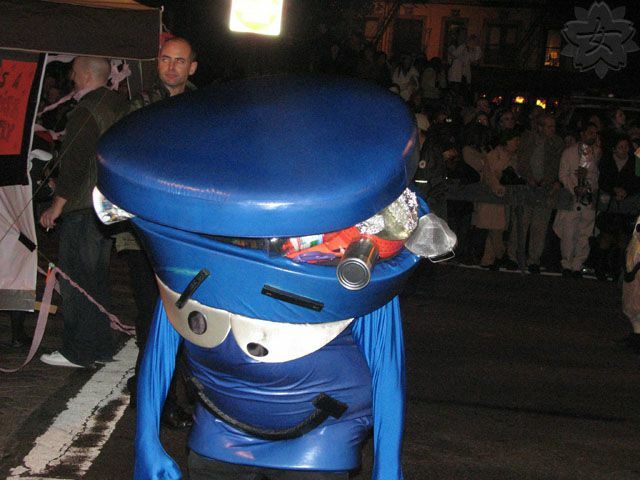 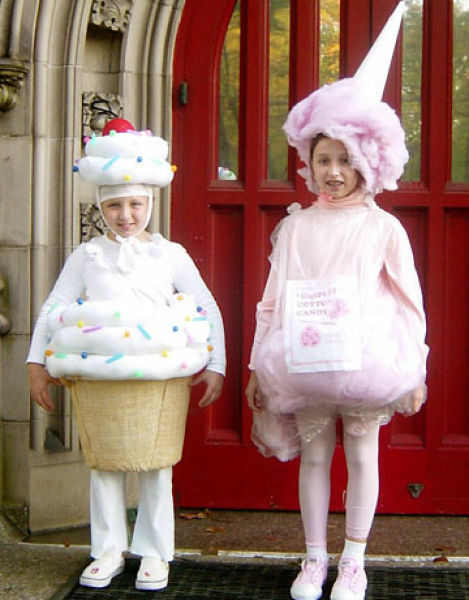 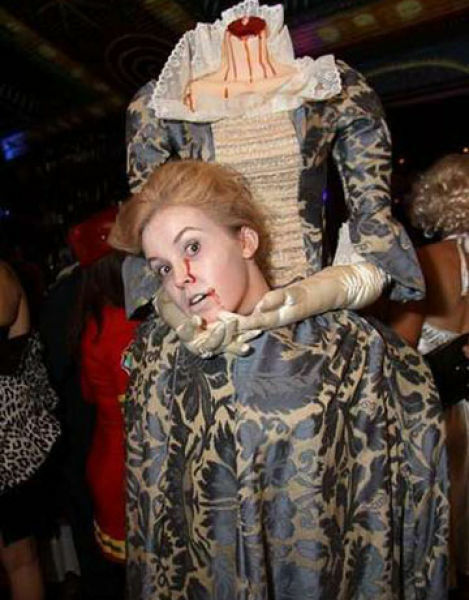 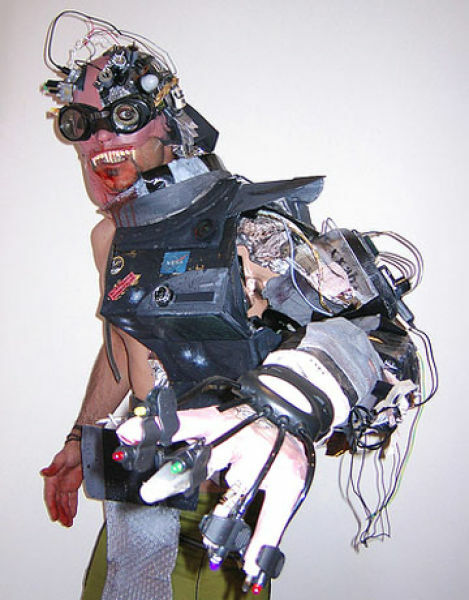 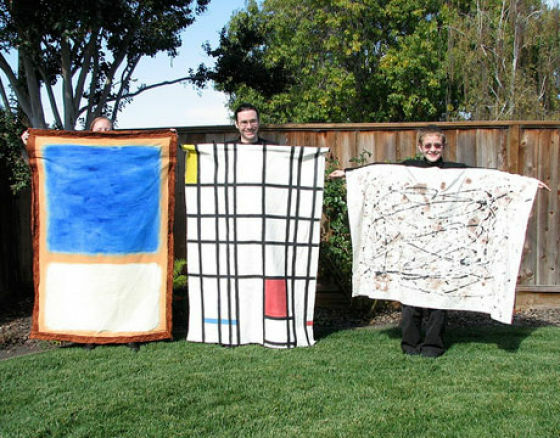 If you have recycled materials, you can use them to create your Halloween costume. 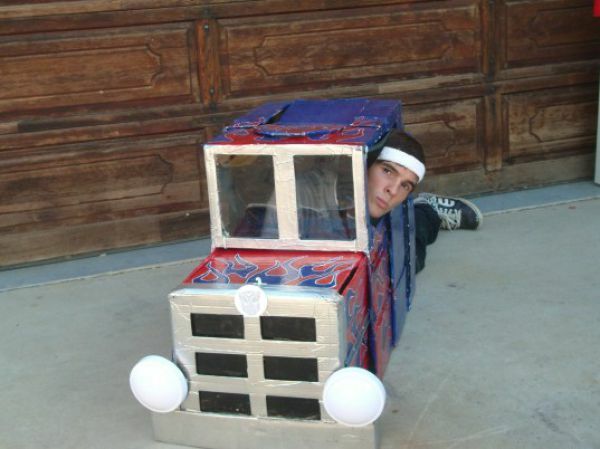 These are just some great ideas of what you can do out of junk. 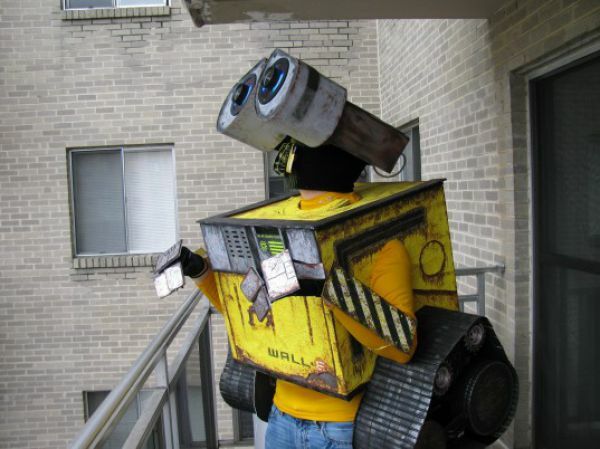 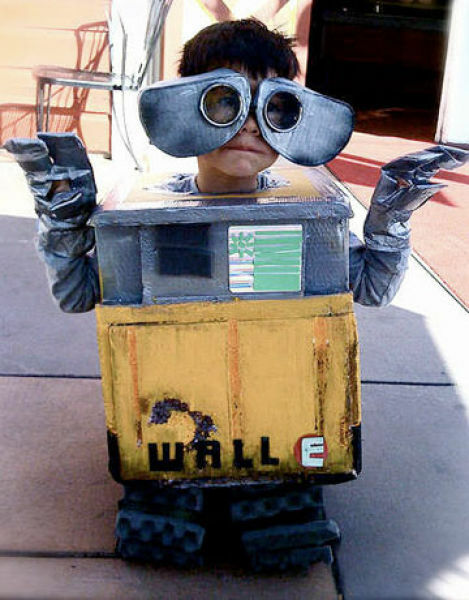 I love the Wall-E costumes. 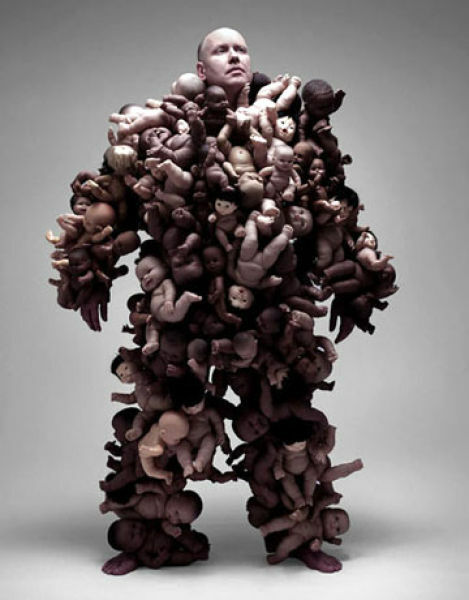 Something real creepy about the first picture where the guy has all those baby dolls stuck all over him. 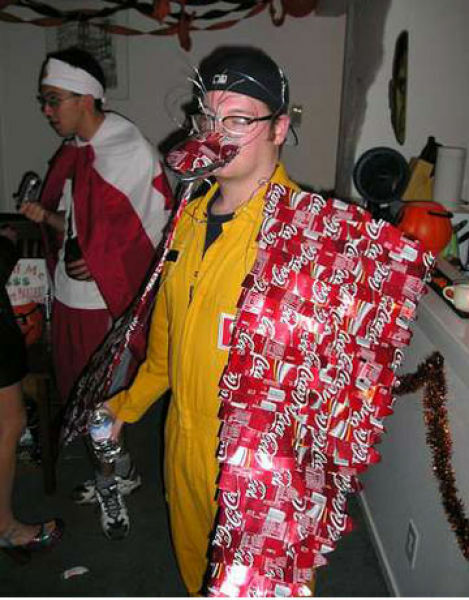 What the heck is #7??? 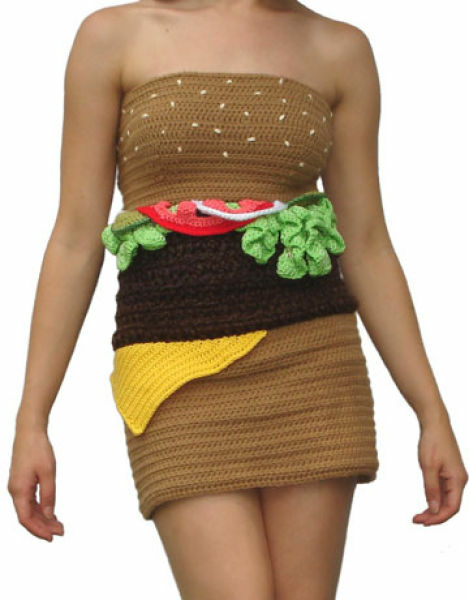 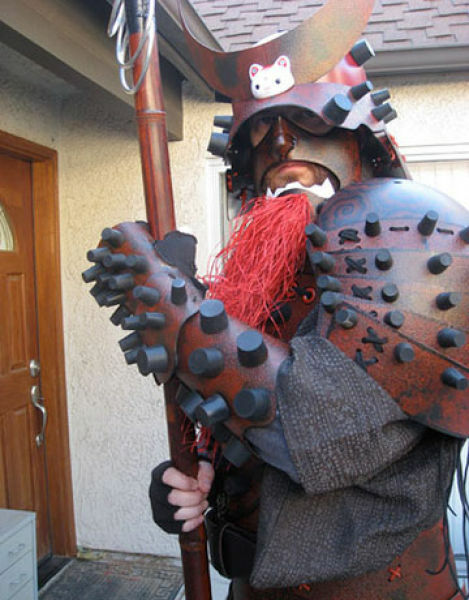 aw - that cardboard samurai is pretty amazing... and I kinda love that knitted hamburger dress. 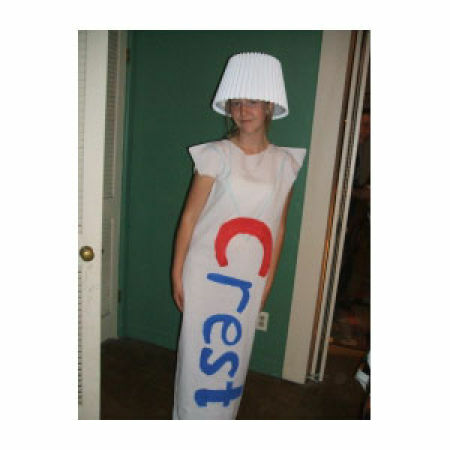 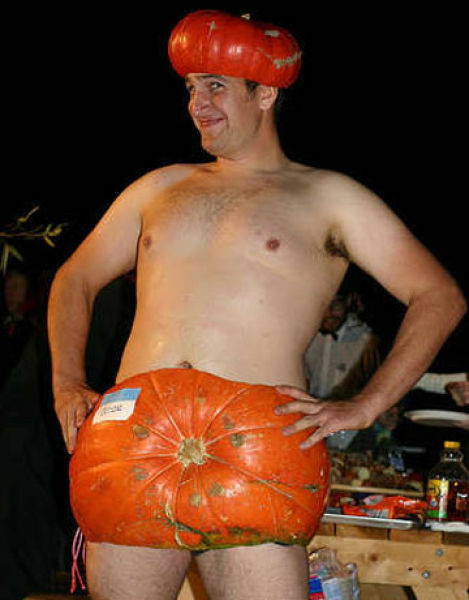 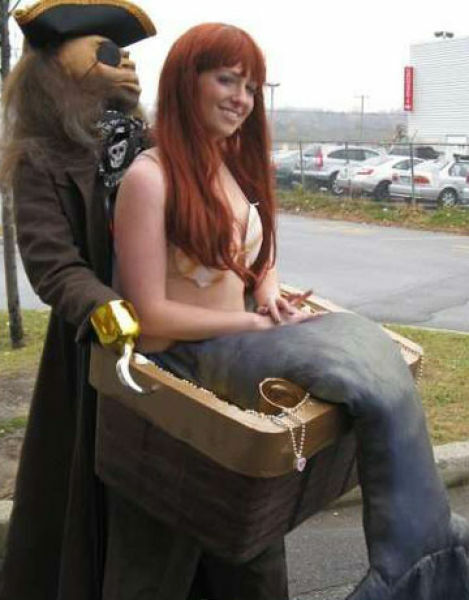 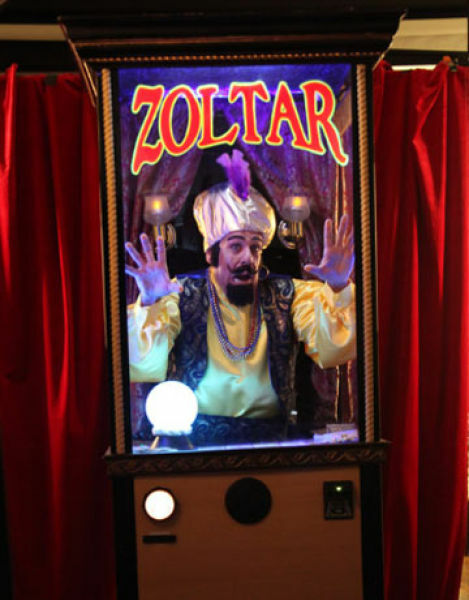 I already have my halloween costume at the ready.